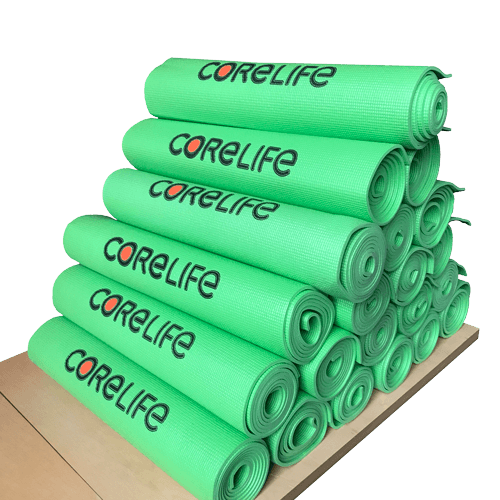 At CoreLife Eatery, we believe the food you eat affects how you feel and how you perform. That’s why we make everything from scratch with real, whole foods and ingredients that are free from GMOs, trans fats, artificial colors, sweeteners, and other artificial additives. Featuring fresh, hearty salads, grain bowls, bone broth bowls, warm rice bowls, soups, and protein-packed plates – our meals will leave you energized and full. Our menu is perfect for those eating vegan, vegetarian, gluten-free, Keto, Paleo, Whole30, gluten-free, and more. It’s also kid-friendly! We believe food that’s good for you should also taste great. That’s why it’s our mission to bring clean, healthy meals to more and more communities all across America and keep our guests coming back. Learn more about us. It can be hard to find delicious, healthy food that the whole team can enjoy. 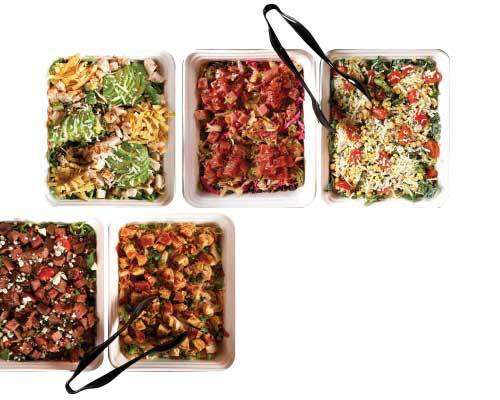 Be the office hero with catering from CoreLife Eatery. Choose from our Signature Power Box, Build-Your-Own Bar, or Individual Bowl options. Customize it the way you want with fresh, quality ingredients. We’ll do the work, you take the credit. Start your order now. There’s never a line online! 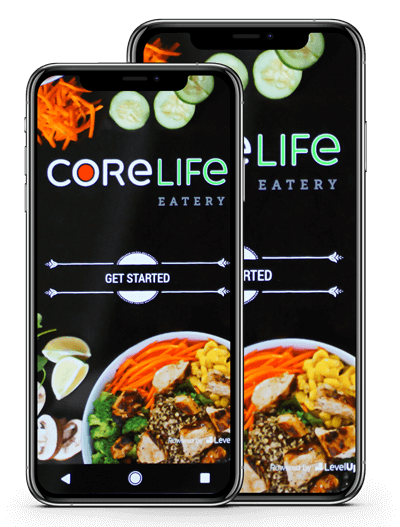 Download our CoreLife Ascend mobile app for Android and iOS and your favorite meal is just a tap away. Plus, get $5 off your first order and earn rewards just for ordering your favorite bowl! 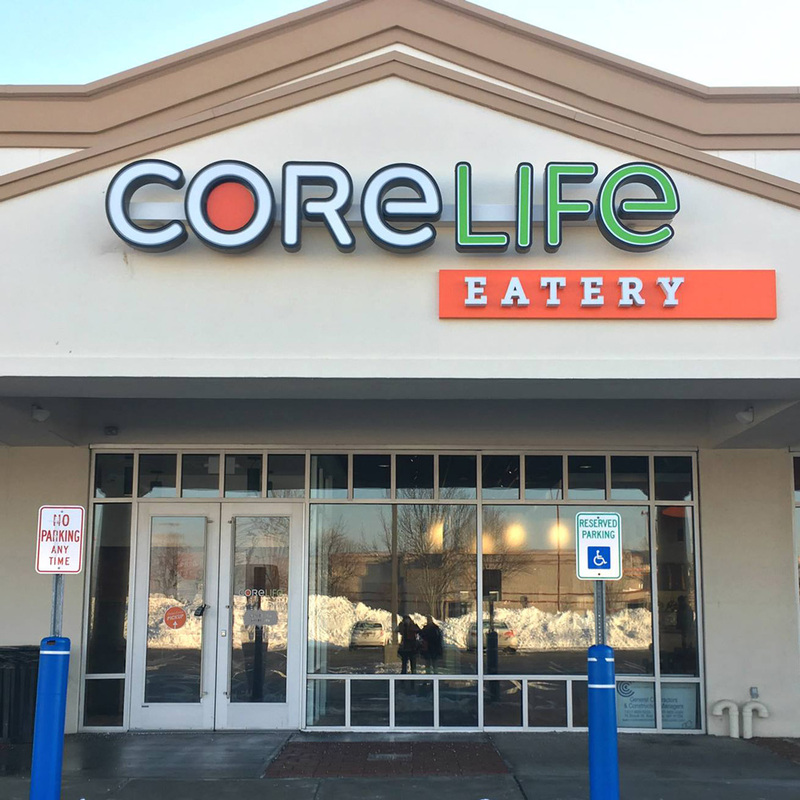 Mobile ordering and take-out is the easiest way to live the CoreLife. We often host events in our local communities. From yoga to kickboxing to marathons and 5ks, we love supporting our local guests in the many ways they live out their active lifestyles. Get in touch with your local store marketer to discuss partnering with us!